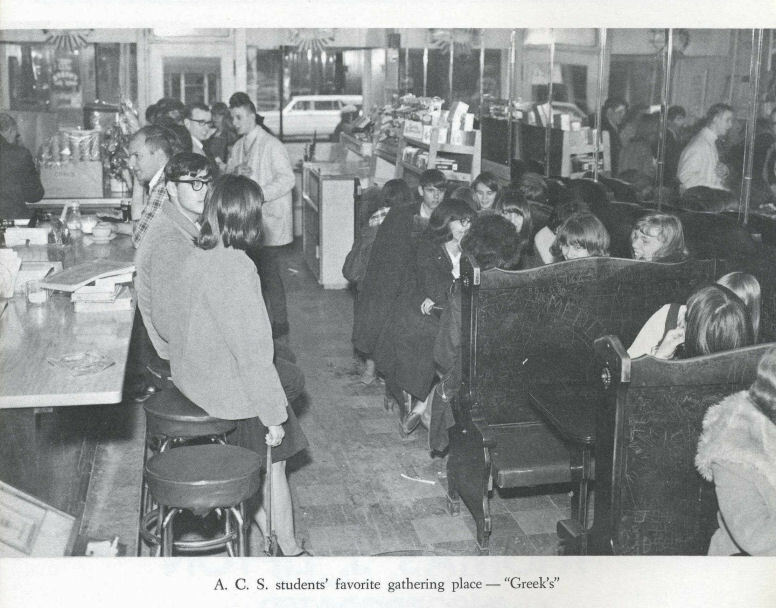 Who remembers the soda shops we had downtown? Gus’ and Greek’s…..everyone hung out there after school and on the weekends – they were the place to be! Favorite hang-outs are a huge part of being a teenager in school…….they are where memories are made, friendships grow, gossip flows, love blossoms, and epic break-ups happen…..they are the glue that hold us together outside of class! Can you identify any of the kids in the photo? Where was YOUR favorite hang-out in school?